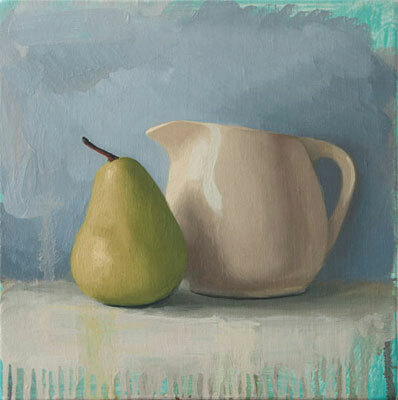 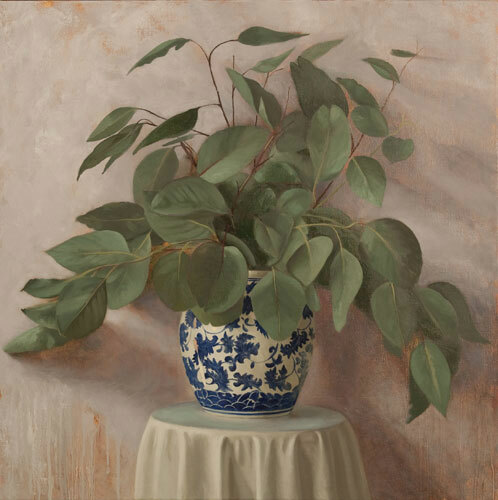 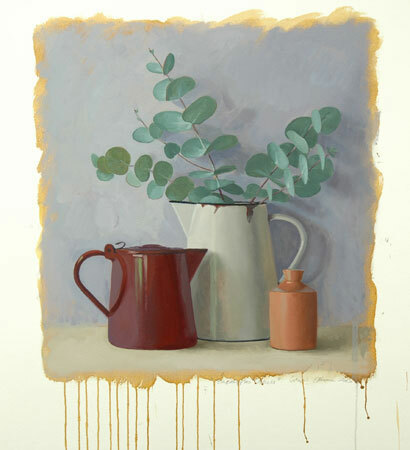 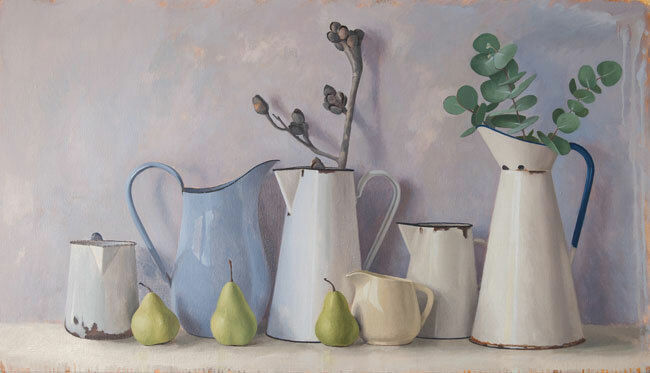 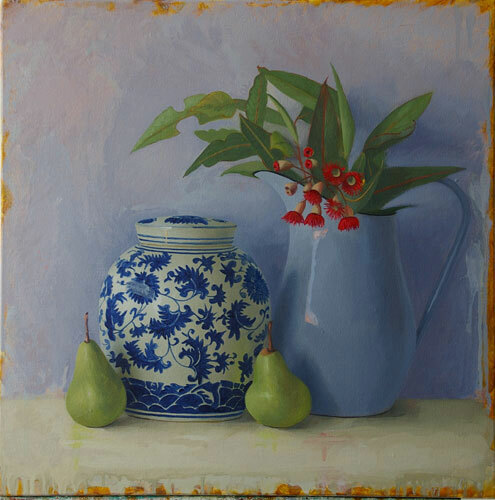 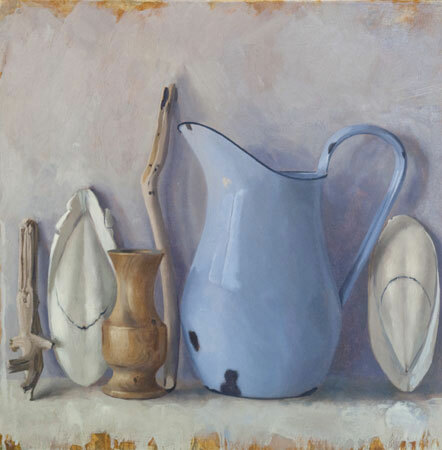 Crispin Akerman has earned a significant reputation for the elegant simplicity and fine balance he achieves within his favoured genre of still life painting. 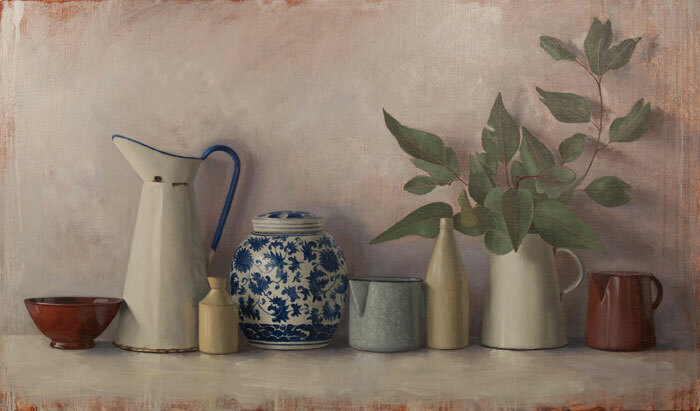 He uses a timeless vocabulary of domestic items such as ceramics, fruit, drapery and enamelware as well as native Australian flora to capture a sense of quiet contemplation, history and beauty. 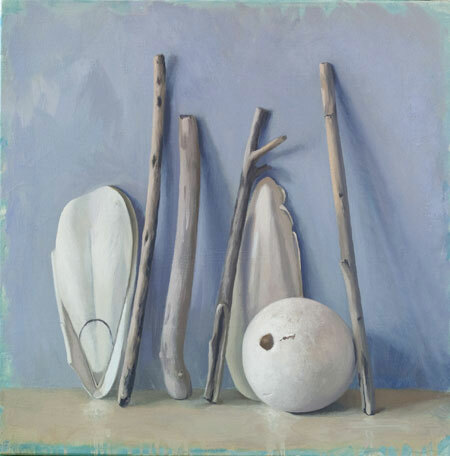 Beach elements are a recent addition to his repertoire resulting from a recent move to coastal Western Australia. 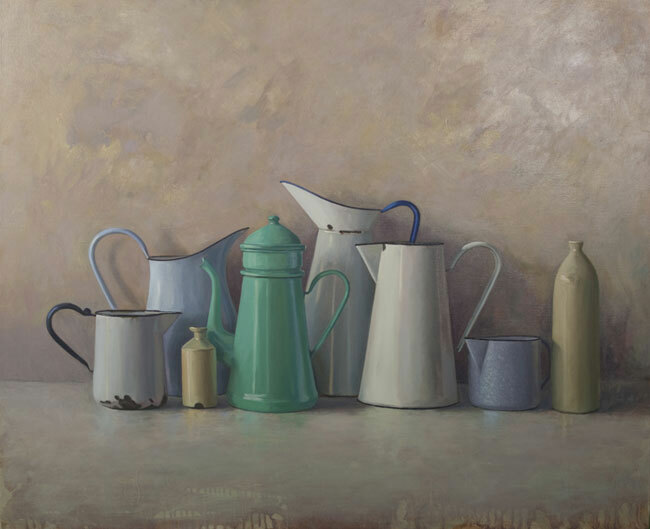 While the works are largely observational, the arrangement of the objects is highly constructed over underlying geometries, allowing for the exploration of harmony, balance, tension, light and atmosphere. 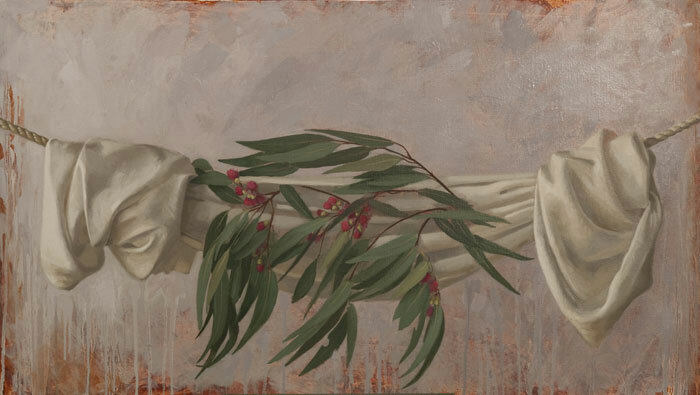 These paintings explore their intimate nature in a non-specific location. 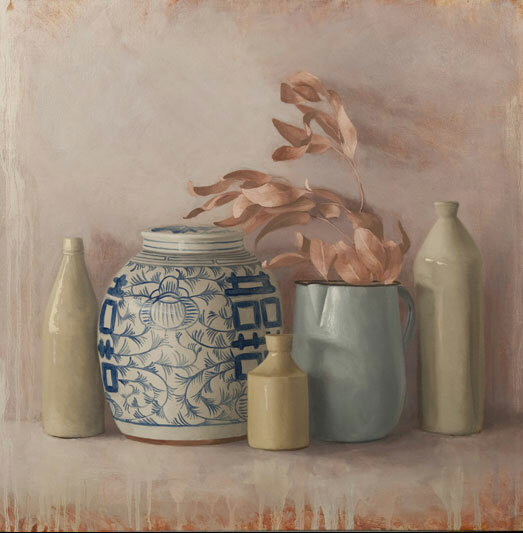 The elements of this genre that Crispin finds so interesting are “the contemplative potential in it, the suggestion of the kinetic in the static, the metaphysical promise present in the very words ‘still life’ “. 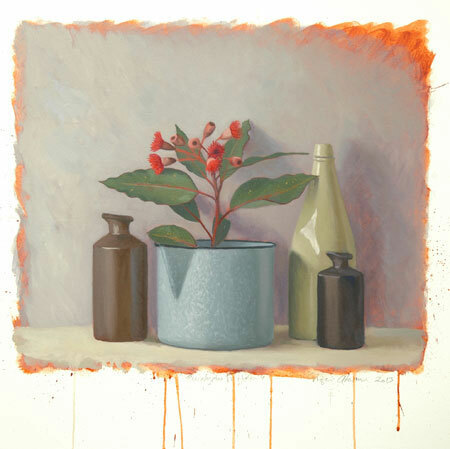 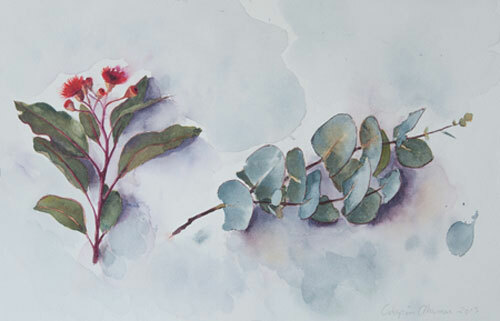 This is Crispin’s tenth exhibition at Beaver Galleries.